Mumbai. Grundfos, a global leader in advanced pump solutions, received the‘India’s Most Trusted Company’Award at a recent ceremony in Mumbai by Honourable Minister of State, Water Resource and Conservation, Shri Vijay Bapu Shivtare. The company was selected under the‘India’s Most Trusted Pump Manufacturers’ categoryby Media Research Group (MRG). 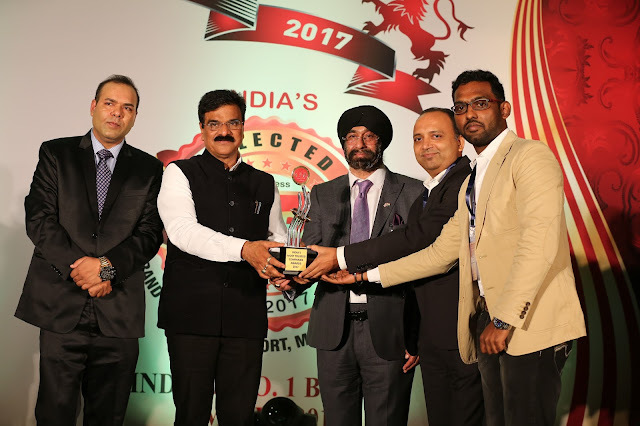 The ‘India’s Most Trusted Companies Awards 2017 is a listing of the 100 India’s famous fastest growing companies that have played a significant role in the success of the country, and have unambiguously unveiled themselves as the next set of game changers serving through their various consumer-facing businesses.With a spotlight on innovation, international scalability, differentiation and strategic investment to the Indian economy, this Award celebrates the success of some of India’s fastest growing companies. Commenting on this recognition, Ranganath N K, Managing Director – Grundfos India, said, “At Grundfos we strive to be among the industry leaders when it comes to finding ways of using new technologies to move and treat water and wastewater. Our communication is open and honest among ourselves and with the world around us. We put the facts on the table – also when it is not pleasant. Therefore, to receive this award based on Trust is a great acknowledgement of what we stand for”. Around 500 leading Indian Companies across the Service and Infrastructure sectors were evaluated by the International Brand Consulting Corporation, USA based on various parameters such as Market Share, Innovation, Workplace Culture, Leadership, Business Ethics, Governance, Corporate Social Responsibility and Reputation as part of the selection process.